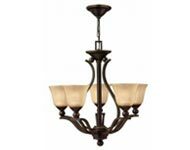 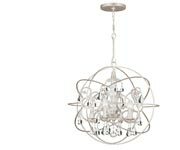 3 light mini chandelier. The design comes to life with circular curves and crystal clear glass paneling that gives off a shine. 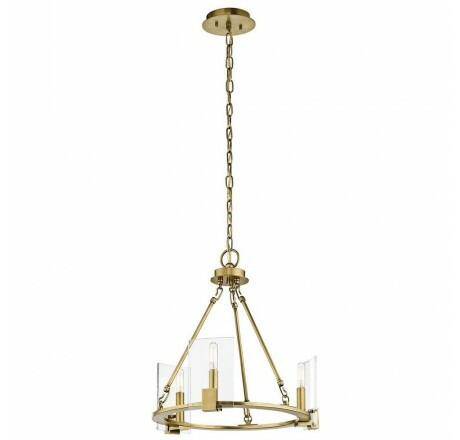 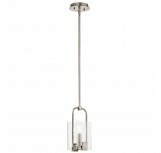 For a soft and contemporary style our Chandelier is available in a Natural Brass finish.